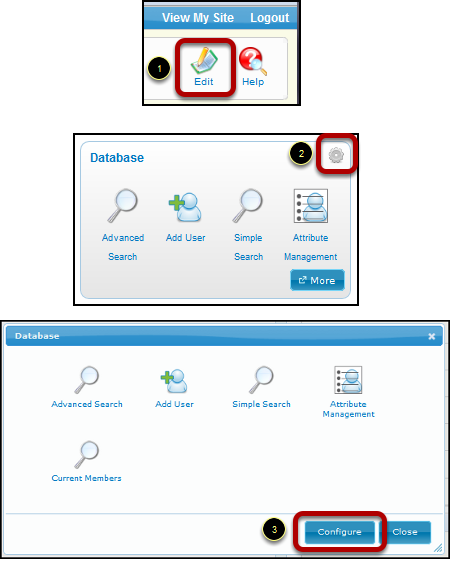 The admin home page provides access to many MemberClicks functions and features. From the admin home page, you can create and manage website content, database settings, user profiles and groups. 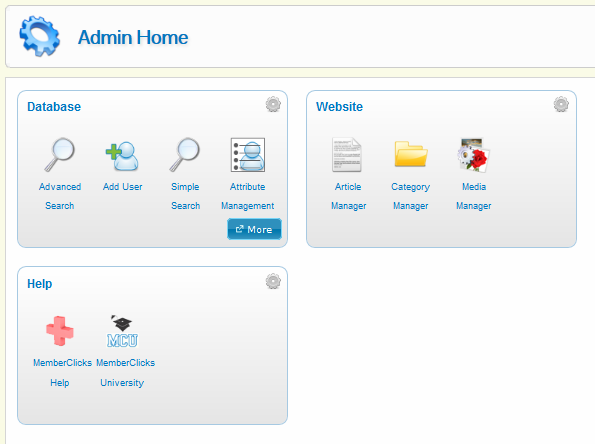 The admin home control panel is customizable so you can add quick links to the features you use most. 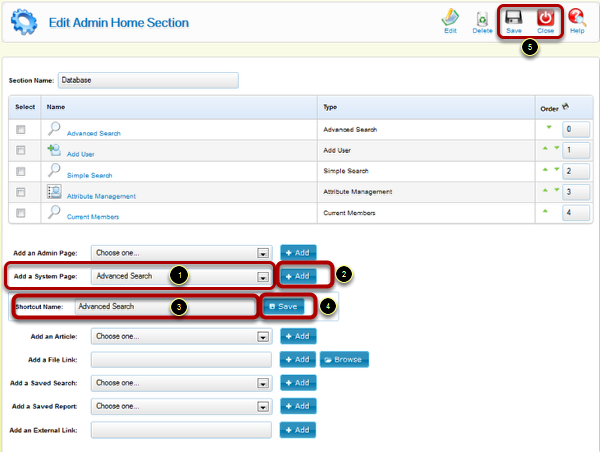 To add a new section to your admin home control panel, follow the steps below. 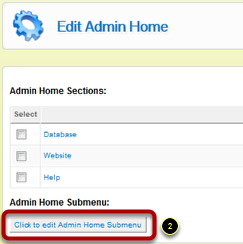 You're also able to customize the admin home submenu to include any of the items available to the control panel. This is handy for one-click access to frequently used pages from anywhere in the MemberClicks product. Now you can follow the steps above for adding or removing items.